I’m Justin Tieleman a Junior Trader working at CTB BV (www.ctb-trading.com) and our trading office is located in The Netherlands. My father Erik Tieleman and his business partner Senior Trader, Ruud Kaag started this company almost 10 years ago. I had the oppertunity to join the company as a Junior Trader focussing on Wild Kopi Luwak coffee. 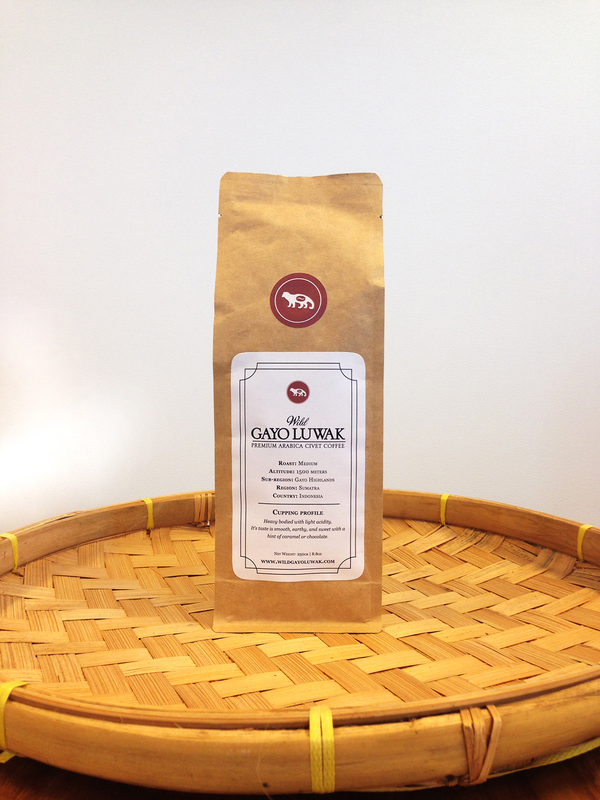 At CTB BV we created and launched the brand Wild Gayo Luwak for our Wild Kopi Kuwak coffee in cooperation with our partner PT SJK (www.sjkexport.com) and research of the World Animal Protection (www.worldanimalprotection.nl) in January of 2015. When did you first try Kopi Luwak coffee? 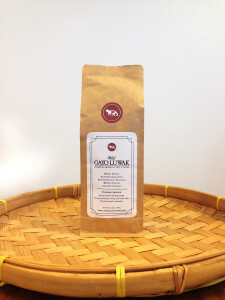 The first time I tried Kopi Luwak coffee was a couple of years ago when Erik and Ruud returned from their coffeetrip to Sumatra and brought back a pack of Kopi Luwak from our warehouse. I never tasted a cup of coffee that was this smooth and had so many different flavours in a cup. Recently Ruud and I had a cappuccino at the Nordic World of Coffee at 1 of our clients. They brewed it with our Wild Kopi Luwak beans and I think it was the best cappuccino I ever had. Do you really think that Kopi Luwak tastes better than normal coffee, or is it just a curiosity ? Yes, it definately tastes better than normal coffee. If anyone brewed a cup of fresh roasted Wild Kopi Luwak arabica coffee I think nobody would disagree. The problem at the moment is, that there is still a lot of good marketed fake Kopi Luwak which comes from caged civets. 9 out of 10 times it’s old and stale coffee or mixed with robusta. People think they had the real deal but got fooled and therefor are dissapointed with the taste compared to their expectations. How is your Kopi Luwak Coffee different from other Kopi Luwak Coffee brands on the market? Wild Gayo Luwak is part of ethical minded companies that care about the quality and origin of the coffee they source and process. We export about 200 containers of conventional, UTZ, EU Organic/USDA, Rainforesst Alliance and Fair Trade certified coffees on a yearly basis globally. Therefor we visit PT SJK multiple times a year and have control over collecting and processing procedures. We invited the World Animal Protection to our plantations to research and observe how we work locally. They gave us advice and guidance to improve quality and verified we source genuine Wild Kopi Luwak arabica coffee. How can you assure that your coffee is not coming from animals held in captivity? We can assure all our Kopi Luwak is sourced from civets living in the wild because we are working like this for almost 10 years and the World Animal Protection verified this recently. As an international NGO they have no reason to lie about this because there are no benefits in it for them. 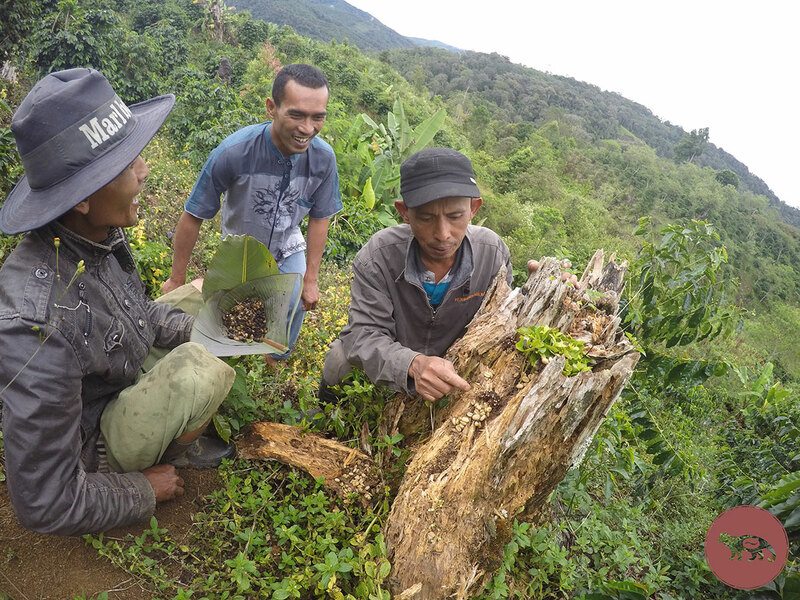 During the CTB BV coffee trip to Sumatra last month I joined our Wild Kopi Luwak farmers and did the job with them in the early morningx. This all was filmed and photographed by our team and will be published to the www.wildgayoluwak.com website. In the last years we have seen many press campaigns against Kopi Luwak due to the cruel animal farming that is still going on in Indonesia and other countries. How will that affect the popularity of Wild Gayo Luwak? We hope other companies and resellers of Kopi Luwak will follow our example or let us be their supplier to ensure they supply a genuine and cruelty free cup of Wild Kopi Luwak arabica coffee.